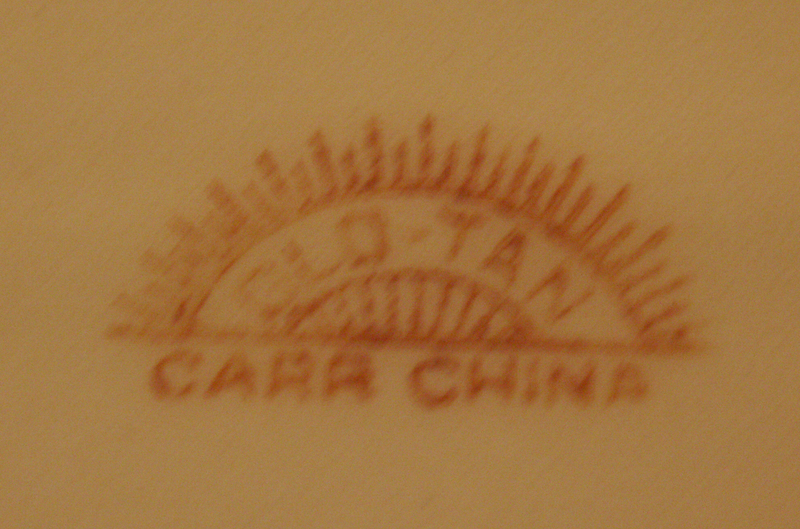 Glo-Tan was Carr China's name for their tan bodied wares. Favored by many, Glo-Tan is a sturdy ware and versitile backdrop for many popular Carr patterns. According to company order guides, a premium was charged for Glo-Tan over white wares, suggesting they, too, thought this was an exceptional product. How well do you know your Glo-tan competitors? Know of any we've missed? Let us know! A beautiful collection of Glo-tan would make a gorgeous table setting. This "Wrenthem Showboat" plate is produced on Glo-Tan with a Brooklyn border.